To increase the overall living space by extending the property to include a basement wine cellar. The primary focus was that the materials had to perfectly match with the existing property. The project was to provide additional living accommodation, initially involving a games/reception room at ground floor and a master bedroom suite at first floor. The client did not wish to lose from the rear garden and the logical answer was to extend to the front to create the required space. Creating the extension to the front of the property required complementary design and careful consideration over the selection of materials to ensure the extension did not look obtrusive. The inclusion of a wine cellar was introduced early in the design, incorporating a concrete cellar formed around a spiral staircase with a trap door in the ground floor. 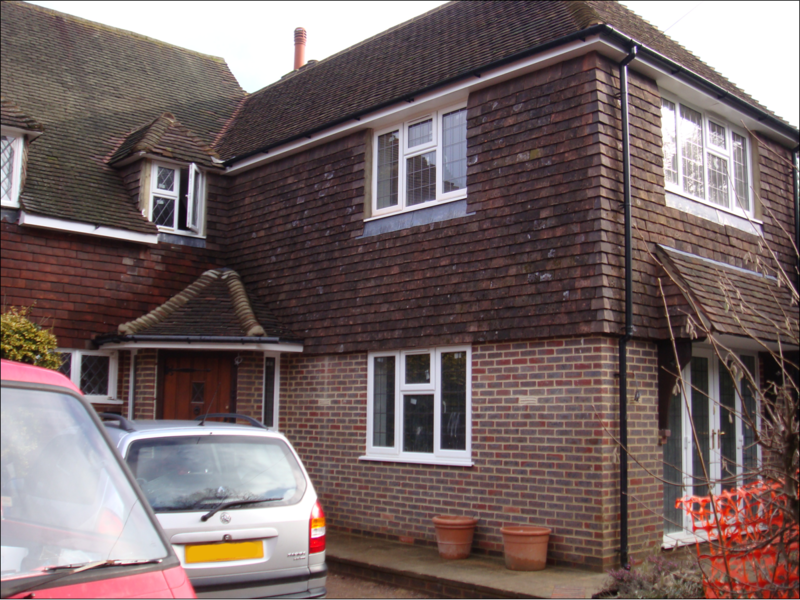 The project involved issues of building a large extension whilst the family remained in residence, working in a confined space with limited access, forming a basement close to the existing building and working closely with the local authority environmental health officer to deal with soil contamination caused by fuel leakage from a nearby garage site.